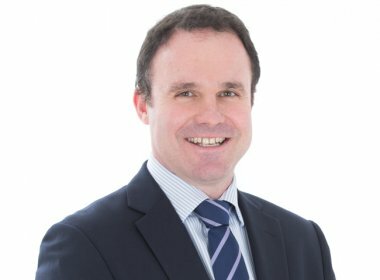 Richard Porter, Independent Financial Adviser (IFA) in the St Albans financial planning team recommends you plan ahead and use up all your pension and ISA allowances before the new 2019/20 tax year. Richard Porter, independent financial adviser in St Albans offers independent financial advice to local clients in Radlett and St Albans. If you haven’t already used your ISA allowance this tax year, you can invest the whole of your individual ISA allowance of £20,000 in a Stocks & Shares ISA before April 6th 2019, or up to £20,000 in a cash ISA, with any balance invested in a Stocks and Shares ISA. A couple can now invest £40,000 in tax efficient investments before April 6th 2019. Remember any future withdrawals from an ISA are not subject to capital gains tax or income tax so ISAs are an important part of your overall financial planning strategy. If you have children under 18 who do not have a Child Trust Fund (CTF) you should be eligible to open a junior ISA (JISA) for them and invest up to £4,260 in the 2018/19 tax year. If your children have a CTF you could transfer it to a JISA, or keep the CTF and add £4,260 to that. If you are a UK taxpayer you should review your pension allowances. 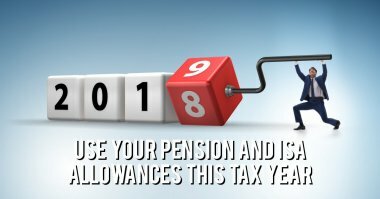 In the 2018-19 tax year the normal rule is that you will be able to claim tax relief on your own pension contributions up to 100% of your earnings or £3,600 if more. As an example if you earn £30,000 but put £33,000 personally into your pension pot you would only receive tax relief on the £30,000. There is also a limit called the annual allowance which applies to total pension funding from all sources including employer. The standard annual allowance is £40,000 and if it’s exceeded a tax charge will apply to the excess. Some people may be eligible to use unused annual allowances from the previous three tax years to increase their current year allowance. Non taxpayers can also contribute up to 100% of their earnings into a pension (which could be up to £11,850 this tax year) or non earners (or those earning less than £3,600) can contribute £3,600 gross with tax relief available. From 6 April 2016, individuals who have ‘adjusted income’ (total taxable income including all pension contributions) for a tax year of greater than £150,000 and ‘threshold income’ (total taxable income excluding all pension contributions) over £110,000 have their standard annual allowance (£40,000) for that tax year restricted. The restriction works such that for every £2 of ‘adjusted income’ above £150,000, their annual allowance is reduced by £1. The annual allowance can’t fall below £10,000. Personal pensions allow contributions to be made by, or for, all UK residents, including children and grandchildren. A net contribution of £2,880 (effectively £3,600 gross) each year can be made for members of your family even if they do not have any earnings or do not work. For example you could set up a pension scheme for your children on their behalf. ‘Our Lonsdale Wealth Management financial advisers recommend clients have regular financial planning reviews so they invest tax efficiently and use up all their available pension allowances and ISA allowances. It is never too late to start planning for your future and getting financial advice just before the new tax year is a good time to start. If you are looking for independent financial advice contact me on 01727 845500 for a free initial consultation. Please note: The value of investments can fall as well as rise. You may not get back what you invest. The Financial Conduct Authority does not regulate Tax advice, Estate planning or offshore investments.